4th September 2008. 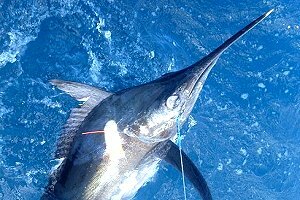 In this Issue: Best Place Winner, New Look Fuel Prices, Trailers in the Simpson, Journal now Blogged, New Trek - Rudall River, and New Article - Offshore Fishing. Today we announce another winner in our "Best Place" competition for a great effort by Member - Doug T (NT) who updated the Place reference for the Northern Territory town of Katherine on the Stuart Highway. To be a winner, we are looking for people to create or update entries into the Places section of ExplorOz for areas of interest to holiday planners - you need the lat/long positions, a few good photos and useful textual information. It's not too hard - maybe you can be the next winner? Thanks to Doug T (NT) for a great job on this one - he wins an ExplorOz Long Sleeve Polo Shirt. If this area interests you, keep an eye on our current Shop Super Specials as we have a map of the Gulf Country encompassing the Katherine region to south-west Cape York, including the Savannah Way at a bargain price of $5.38. We think you'll enjoy the improvements we've just made to the Fuel Prices section of ExplorOz. These new state-based pages offer a whole new data update technique that allows you to make in-page updates. We hope that this new system will encourage you to regularly update locations to supplement the daily data-feed. Check to see if a location is already listed. If it is, you can update the report using the update options. If it's not, click Add New Location (control box at top of page). Trailers Banned in Simpson Desert? Over the years there has much conversation in the ExplorOz Forum on this issue and recently we've noted a number of threads regarding a formal ban on the use of trailers in the Simpson Desert to come into place as of 1/1/2009. As an agent for the sale of the Desert Parks Pass we have checked the facts and can advise that a trailer ban and a temporary closure is likely - however neither has yet been formalised. Check the Forum Archives for some interesting reading discussing the case for and against.Related Archived Forum Posts. 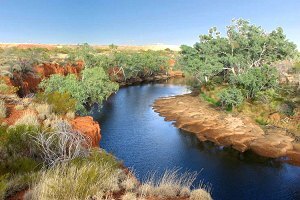 Someone has just finished publishing 10 years worth of informative travel stories throughout Australia in their ExplorOz Member Blog. Every entry has photos, and extensive detail. Whose is it? Click here to find out!. As the entries have been back-dated, to find them you'll need to use the Calendar tool on the right to view entries by year. 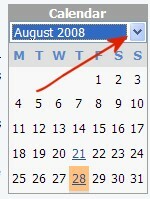 Use the pull-down list to view entries from earlier years - the Calendar will only go back as far as the first entry so start at the bottom if you want to browse in chronological order.